How much money will you need when moving to Hong Kong? ‍You’re thinking about moving to Hong Kong. You just got a job offer and are considering whether the amount offered will cover your cost of living. Especially if you’ve never been here it can be quite tough to really know what all your day-to-day expenses will be like. 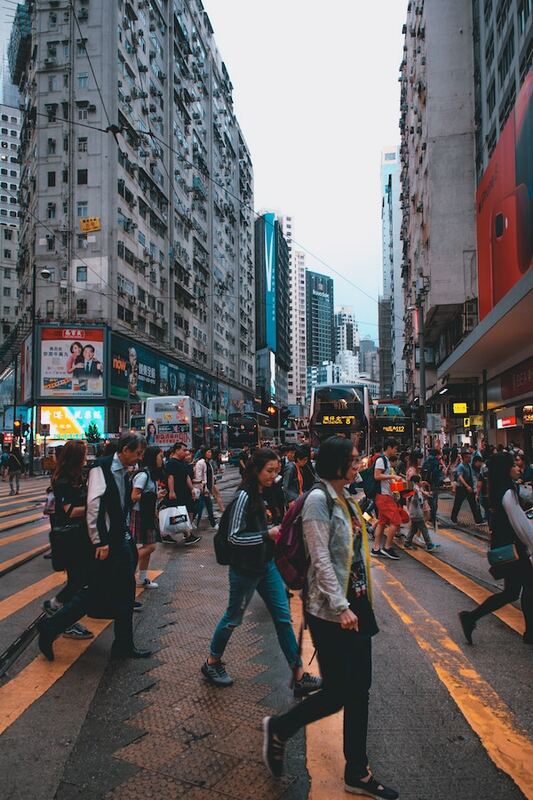 One thing we can tell you, Hong Kong is – sadly – one of the cities with most inequality in the world and your expenses will to a large extent depend on your lifestyle. It’s definitely possible to live on little; HK’s median wage is only HK$15k. But if you’re surrounding yourself by other foreigners it will be hard to live of this salary. Living in a convenient area, going out for drinks and good food will add up. In this blog we will look at some different aspects of daily life and their costs. We’re mainly focusing on when you’re coming to HK by yourself and don’t have anyone to support, as that would obviously totally change the equation. Spending an hour browsing through websites as 591, Spacious or Facebook groups as FindYourRoomInHongKong or Find Apartments and Studio Flats will give you a good indication of what the housing market in Hong Kong is like. To give some rough estimates, sharing a modern, luxury apartment with roommates on the island side will set you back HK$9,000-$11,000. Sharing a more modest apartment that still has all the basic amenities and is perfectly livable will usually cost you ~HK$6,000-9,000 on the island side in a centrally located area. If you don’t mind an old apartment and are ok with a walk-up and the usual shortcomings of old buildings, you may be able to find something for below HK$6,000, if you’re lucky. If you’re willing to commute (HK’s public transport is great and you’ll hardly ever have to commute more than an hour), prices drop considerably and you will be able to find the same amount of space for sometimes half the price. If you want to live by yourself, be prepared to pay around HK$8,000-$12,000 for a small (150-200 sq. feet) modern studio on the island side. If you want a 1BR apartment you’re looking at HK$15,000+ for a small 1BR apartment and HK$20,000+ for a (still smallish) 1BR apartment if it’s either a renovated unit or in a modern building that has amenities as swimming pools and gyms. Take into account that the studios and 1BR apartments will be smaller than you’re used to at home, whatever your budget may be. But then again, all your friends will have the same issue so hanging out at home is done less often and people usually meet at restaurants, malls or bars. More than in any other city in the world, food ranges from CHEAP to amazingly expensive. The cheap noodle stand around my house serves a small portion of noodles with siu mai for HK$13 that can serve as dinner (when you’re not too hungry). At very local restaurants you can get a meal for HK$30-HK$50, but it’s often the Chinese equivalent of Western fast food and food can be greasy and the ingredients not of the best quality. Though there are exceptions and if you are on a budget you will definitely find them. Some $40 meals are of excellent quality :), so it’s absolutely possible to get by on <HK$100 per day on food, but it depends on what you’re looking for. 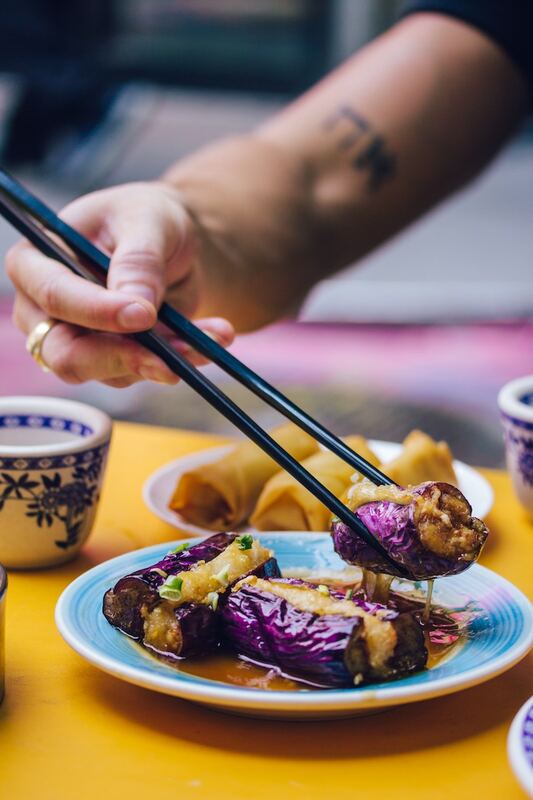 Most expats will miss the food they’re used to and struggle eating Chinese 3x a day every day. Moreover, it’s more difficult to socialize if you are on a strict budget regarding food & drinks. You can get other types of Asian food at regular, casual restaurants for HK$80-HK$150 on the island side. If you want to have a chat with your friends and have a nice sit down dinner with decent Western or more upscale Chinese/Asian food be prepared to spend HK$150-200 for a not too expensive meal, $300-400 for a mid-range meal and up to thousands of dollars for a fine dining experience. Also take into account that a glass of wine to accompany your meal can be more than twice as expensive as what you’re used to. If you’re planning to cook at home, check out for example Park n Shop‘s website to get an idea of the prices. Drinking in the Kong is expensive, but at the same time it’s many foreigner’s favorite activity. If you’re an exchange student with only exchange student friends you can opt for Club 7 (AKA 7/11) and sip on HK$25 bottles of beer in the streets of LKF. However, if you’re on a budget, but your friends aren’t chances are you will have to spend some cash. If you’re out in Central a beer will cost you at least HK$40-50, and good quality cocktails start at HK$90. Hong Kong does have some awesome happy hours with great deals. Besides alcoholic drinks, coffees are expensive too. If you’re planning to get your daily cappuccino from Starbuck, add an extra HK$34 to your daily budget. In hipster places, a coffee can set you back HK$50. Of course there are also plenty of other things to do in Hong Kong besides eating & drinking. Many people love to go on hikes on the weekend, which is completely free :D. If you want to join a gym expect to pay around HK$1,000 for one of the well-equipped and nicer gyms on the island side. There are also plenty of Meetups to meet new people. Costs totally depend on the type of activity as they can range from fancy dinners to free book clubs. Transportation is generally cheap. If you live in a central location you will usually spend less than HK$10 to get to the office by public transport. Taking taxis isn’t super necessary as the subway (MTR) is able to get you anywhere pretty fast. If you do want to take a taxi, as an indication a 5km/10 min ride from Central to Causeway Bay will be around HK$40-$50 and a ride from Central to TST (crossing the harbor) will be around HK$90. Having a car will in most cases be totally unnecessary in Hong Kong if you live in a central area. Expect to pay around the same amount for clothes as back home. All major Western brands have (multiple) outlets in HK and the price is usually the same or marginally more expensive. There are also many local fashion stores and markets great for bargain hunters. The cheaper local stores are similar in price to for example H&M. Household items will also cost around the same as in Europe or the US. There is an IKEA to buy all your basics, so you don’t have to miss home too much. Hong Kong has universal healthcare so you don’t have to be worried about insane medical bills. If you want to go to private clinics you’ll have to pay or get insurance. Unless you’re using your A/C 24/7, utilities will be around the same as back home, and phone plans start at HK$150 a month (without phone).